Research in the last few decades has helped professionals better understand the connection between brain function, neurotransmitters, and electrical stimulation. We have learned that the electrical activity in your brain controls the neurochemicals which regulate your moods, emotions, sleep, and cognition. Stress causes that electrical activity to not function properly. This in turn results in the neurochemicals falling out of balance. 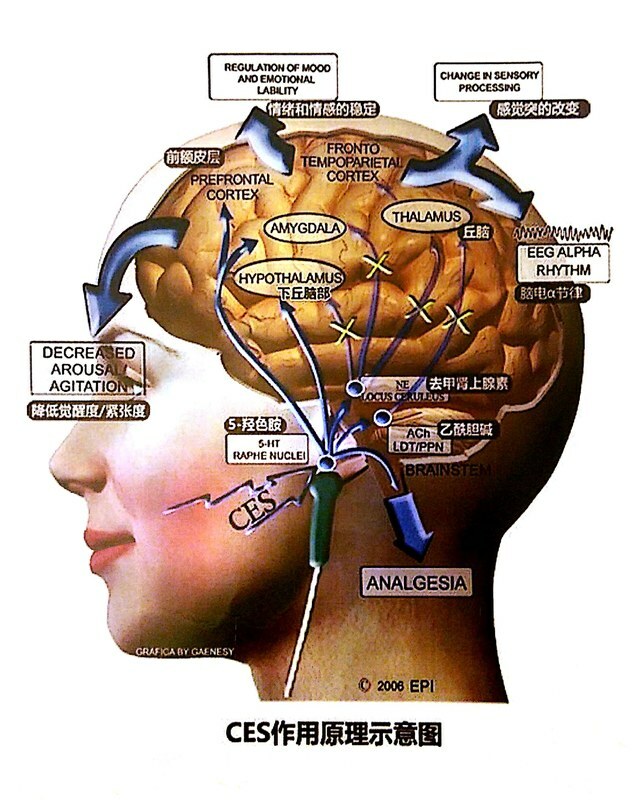 By indirectly stimulating brain tissue in the hypothalamic area, CES causes the brain to restore the various neurochemicals back to pre-stress homeostasis, resulting in a peaceful, centered, and efficient state of being. CES is both safe and effective. Published literature on the subject does not report any negative effects or major contraindications from its use. Most people experience results within just a few days. The relaxed-but-alert state usually remains for an average of 12 to 72 hours after the first few sessions. CES can be used as much or as often an you desire. Contact us today to learn more about how much better you can feel with Cranial Electrotherapy Stimulation by the well-researched CES Ultra medical device. CES is the doorway to good health. It works as an important adjunct in programs invoking nutrients, hormones, and medications. Its multiplicity of health benefits include: induction of relaxation response; exertion of control over frontal lobe behavior and modulating hormone levels...When amino acid supplementation is coupled with CES therapy, this combination is a potentially potent therapeutic regimen for anti-aging.